"The Body Can Heal Itself." from That Moment Productions on Vimeo. The “Move Forward” initiative provides a wealth of consumer information regarding the practice of physical therapy, symptoms and conditions physical therapy can treat and provides patient resources. Personal stories from people who have been helped by physical therapy give you a better understanding of what physical therapy can do for you. 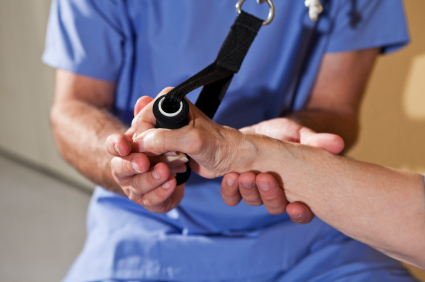 Choosing an accredited, qualified physical therapist or physical therapist assistant is important. The APTA Find a Therapist link will search a national database for physical therapists in your area. According to the Bureau of Labor Statistics, from 2010 to 2020, employment of physical therapists is expected to increase 39%, and 46% for physical therapist assistants. This is much faster than the average for all occupations. Prospective students can explore physical therapy careers and other options that are available. Thanks to the advocacy of the FPTA and APTA, Florida is a “direct access state.” This means you are allowed to go directly to a physical therapist without a physician's referral first and receive treatment for 30 days. After 30 days, the therapist will need to get a treatment plan signed by an approved healthcare provider. This is an especially important point for our many northern residents who spend their winters in the sunny south. Click here for more information on direct access in Florida.